For eight long days, early mornings to late nights, we traveled and camped, worked and sang, ate rice and beans and lived communally. We shared a memorable and almost indescribable experience while fourteen teams composed mostly of teenagers built homes for families who had lost their homes to a fire last fall. It was energizing and exhausting. I came across a new-to-me word the day after we returned: quanked. It means, “to be overpowered by fatigue.” Oh, yes, I’ve been feeling quanked. A week later and I’m still not sure I’ve recovered. I imagine I’ll continue to process what we lived and learned for some time to come, but life doesn’t stop just because we’ve been traveling. While it would have been nice to sleep for a week, we had to restock the fridge, unpack and do all the laundry, parent our kids and, of course, work. So, yesterday was Sunday and I had so much still to do. Instead, I made an intentional decision to Sabbath. I taught my 4 year old Sunday school class (cute chaos). I read a book for fun, then napped. I read my Bible and wrote in my gratitude journal. I made a nourishing pot of soup to share with my family and we enjoyed some TV time together (Buddy vs. Duff, dueling cake makers on Food Network, and Game of Thrones; Guy and I are on Season 1, racing to watch the whole series now that the final season has begun). To be honest, it felt both refreshing and a little boring. It might have been easier to keep going business as usual. But the world kept turning and didn’t miss me. Share about a good deed someone did for you recently. Name all the examples, real and conjecture, of Sabbath law breaking that Jesus exonerates. What do they have in common? Explain the connection between “mercy, not sacrifice” and the Sabbath. How might the Pharisees, rather than the disciples, be the ones in danger of breaking Sabbath law? What does Jesus say and demonstrate about what is and isn’t appropriate on the Sabbath? Did you take any steps toward implementing a Sabbath practice this week? If so, how did it go? How do you decide what is and is not permissible for you on the Sabbath? Why is it important to respect others’ interpretation of what Sabbath rest looks like? What might it look like to spend Sabbath extending mercy and goodness to others? How might a Sabbath practice itself be an opportunity for God to provide healing in your life? What is God saying to you through this passage, and what will you do about it? Ask God to fill you with mercy and goodness. Use these questions to reflect on Matthew 12:9-13 individually and with your family. What are some good things you can do for others? How can taking a Sabbath day of rest be a good thing God wants to do for you? Ask God to help you do good things for others. You find what you look for. Stop doing and just be here. Those three points have hung on to my imagination. My first things first: God, family, friends, work, rest/play. So how can I not observe Sabbath if a) it’s God’s command, and He wants to spend time with me; and b) rest/play is already a priority, one that I don’t make enough time for regularly? Leaving my work email off, letting the house be less than pristine, long dog walks rather than our usual quick route, reading all the books, choosing activities that feel life-giving rather than draining–all good! Hack off the unnecessary: The author wrote about Michelangelo carving the David and famously saying that he “simply” carved away everything that wasn’t his masterpiece. If my life is my masterpiece, my gift devoted to God, then what do I need to carve away to reveal its beauty? One example: I added a time-tracker to my iPhone. Last week it alerted me that my usage was significantly down, but still at over an hour/day. Yikes! What else might I have done with those wasted hours? Today it alerted me that my usage was down to a much more reasonable less than 15 minutes/day (still too high?). Be interruptible: I shouldn’t be so busy that the task at hand takes precedent over something else–or someone else–God wants me to see. Sabbath is an interruption of sorts to my regularly-scheduled week, one which prioritizes God. I can choose to see human interruptions at any moment during the week as gifts from God. Why are we commanded to remember the Sabbath? How would it help the Israelites to remember their deliverance from slavery? In other words, what is the connection between work, slavery and rest? How are we to keep the Sabbath holy? How does the Israelites’ Sabbath benefit others? How do you define “work”? Is it possible for you to get all your work done in six days? If not, why should you still observe Sabbath? 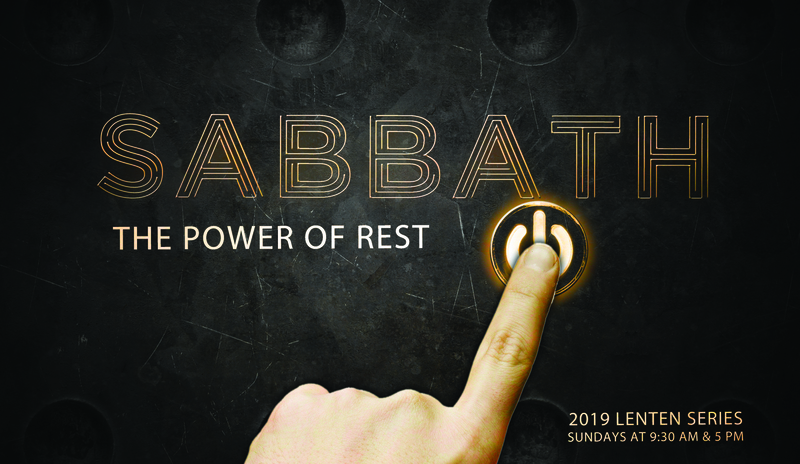 How does society define “rest” and how might that be different from “a Sabbath to the Lord”? How might Sabbath benefit your relationships with others? What mighty acts of God would it help you to remember? Remember the ways in which God has delivered you, then ask your mighty God to help you keep Sabbath. Use these questions to reflect on Deuteronomy 5:12-15 individually and with your family. What does “work” look like in your life? What can you do to get your work done in six days? Ask God to help you experience true rest for one day each week. I marched into 2019 ready to shake things up. We spent the first few days in SoCal, helping my mom and sis prepare to move. Mom sold our childhood home, and there were 42 years and 4 generations of stuff to sort, entangled in oh so many emotions. We built in some fun (San Diego Zoo and Disneyland) because balance. Home again, I hit the ground running–between two jobs, there was lots of activity, not to mention unpacking, laundry, all the regular routines. I hustled myself smack dab into a brick wall. Cue one sleepless night, coughing so hard I couldn’t breathe. I don’t get sick often. When I do, I can usually positive think my way past it. I might take a nap, or even take a day, but by Day 2 I’m back at it. This time, though, I sensed that pushing through would make things worse. I needed to honor my body and give it rest. This week has been a long, boring blur of hydration, magazines, naps, TV, and intermittent attempts to focus my incoherent brain on work. Meanwhile, my friend and creative companion has posted images on Instagram from our recent joint project, 31 Bible to-do cards featuring a word for each card, beautifully designed and hand-lettered by her, and a Bible verse (chosen) and prayer (written) by me. Lord, my body and soul are heavy. I’m coming to rest in your loving arms. Amen. What a great reminder that Jesus invites us to rest in Him! Rather than trying to shoulder through on my own strength, I surrendered to His embrace. Lord, teach me to trust you as I obey your command to rest. Amen. Another reminder, this time that I need to trust God when He tells me to rest. Here I am, at home, with time on my hands and a bazillion things that need doing, and I have exactly zero ounces of energy to do anything. Oh well, the family can step up or step around, stuff’ll get done eventually. Rest is God’s gift, even when it comes as a necessary result from chance encounter with bad buggies. We tend to fight rest like willful children fight bedtime. This week, I’m learning to appreciate the gift. “Wow, you really need to get away!” said Co-worker as she realized I had missed something squarely in my easy-peasy realm of responsibility. I worked frenetically up until fifteen minutes before our car drove away. While I did pull out my phone a few times on the drive, I also made a concerted effort not to talk work with Guy–not to plan, discuss, vent. I put work on a back shelf with fun straight ahead. About fifteen minutes before we arrived, we lost cell reception. On a different carrier, the friends we were with had reception and those who might need to knew how to reach them. I tucked my phone in my purse and didn’t reach for it again until we headed home. It took the whole homeward drive and then some to power back up. I’d forgotten how blissful it feels to be completely untethered. 48 hours without calls, texts, email, or media. Without distraction we talked and talked until the clock announced a new day. 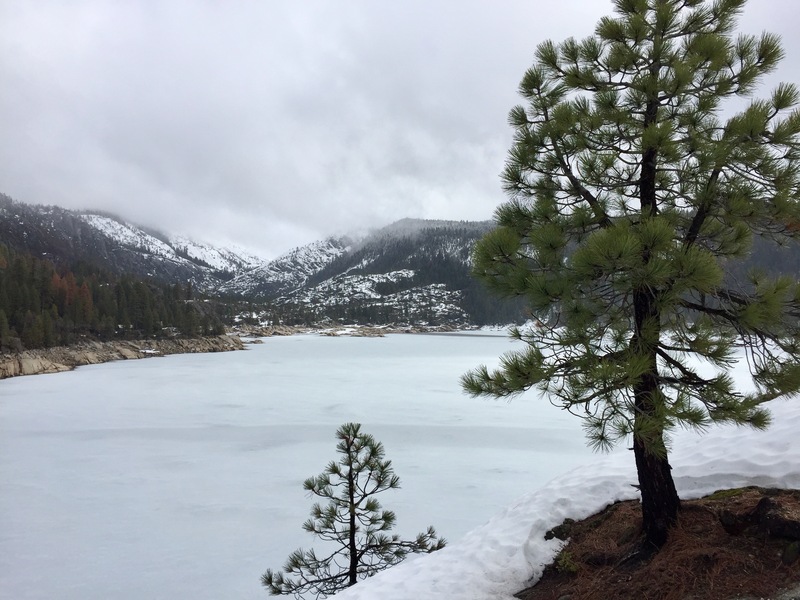 We relished the beauty of a frozen lake, of snow flakes melting on our cheeks, of a bald eagle flying overhead. We threw snowballs to a dog happy to catch them in her mouth. We drank thick, sweet hot chocolate and nibbled our way from one snack to another. We read and shared stories. We laughed through old movies. We lit candles and donned headlamps when the power went out. We played games, we learned new games, and we discovered who’s good at what kind of thinking. We slipped into satisfying naps and slept deeply through the night. We woke late. We hiked, and sank, in deep snow. We squeaked in laughter each time a foot broke through ice and we landed on our knees (at least I did!). We enjoyed time together, and we enjoyed every minute. Before we left home I didn’t know, couldn’t recognize, how much I needed this get-away. In the humdrum of everyday life, we forget that our bodies and souls need to play. We need rest daily–sleep, and a little something fun, like exercise or reading or creativity of whatever sort refuels us. We also need rest seasonally–a quick get-away, like the one we enjoyed this weekend, or something longer, a true vacation. If we can’t get away, then we at least need to unplug. And when we do get away, we definitely ought to unplug. Funny, isn’t it?, that machines need to plug in for power while human beings find restoration by unplugging from the very devices we expect to make our lives easier. Thankful Thursday – Kickin’ the Door Shut & a Happy Dance! By 12:20pm tomorrow, both our boys will be done with this school year. Sixth grade for Tween, which means we now have one year of middle school under our belts. You’d think “experienced parents” might have this down but different kids transition differently, which makes for a different experience all ’round. We used to say that Teen leaped through 6th grade like a series of belly flops–fun in the air, painful on impact, everyone gets splashed. Tween has been way less adventurous and more consistently bewildered by the new demands on his life. A’s for effort, though, as this kid has been diligent in his hard work, sometimes doing two to six hours of homework per night (yes, WAY too much, and darn that slow processing! )…and then forgetting to turn it all in, or losing it (in his backpack) for weeks. Sigh. But tonight I am truly grateful. Grateful we are done, mostly. I have been ready to kick the door shut on this year for, oh honestly, months. At least weeks. And yet I am also grateful for the free and fantastic education in our competitive small town. Grateful for the collateral lessons of organization, communication, self-advocacy, assertiveness, creativity, persistence, and more. I am grateful for my children, these beautiful, amazing, creative gifts from God, each their very own unique human being. And I am grateful that for the next ten weeks we will not argue about homework. I will not have to wake them earlier than their bodies want to rush them out the door. I will not have to hurry them off to bed to get enough rest for the big day, big test/project, the next day’s measurement of their (supposed) worth. I am grateful for summer and its lazy days slower pace. 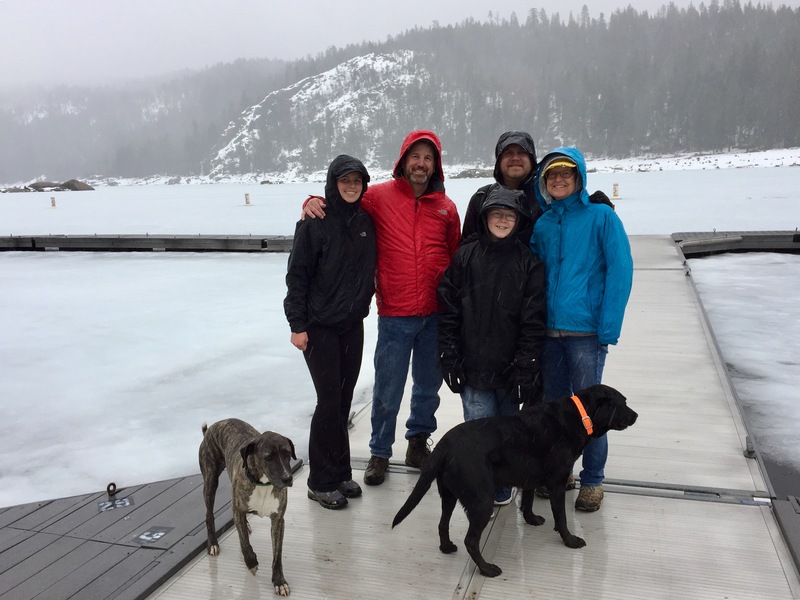 I am grateful for the adventures that await us individually and as a family–trips to San Diego and Mexico, Oregon and Monterey/Carmel as a family; Boy Scout camp for both boys; high adventure risk-taking for the Eagle Scout-Teen. I am grateful for summer’s organic learning. Books to read just for fun. Scout badges that will precipitate new experiences and open their minds to new discoveries. Time to hike and climb and explore…just because. I am grateful for a season of rest. I am grateful for friends we enjoy all year long, friends who have done this year with us, and who will now stretch out into this rest with us. For field trips and day trips ahead. For bowling and roller coasters and movies and beach days and swimming. For glasses of wine and laughter. For concerts and picnics in the park. For worship with our church family. I am grateful, and so I have been doing my own crazy happy dance all day. Psalm 149:3 says, “Praise his name with dancing…” God has held us close during this chaotic year. He has gotten us through, and He has provided rest just ahead. Want to happy dance this joy with me? I wrote here about my intentions for, and here about my results with, “my word” for 2015: Put yourself in the way of beauty. As 2015 came to a close, I reflected on the fact that my word had truly stuck with me and changed the way I lived. And so I asked myself, what’s next? I have some creative projects I’d like to kick into high gear, projects for which I set goals I later let slip away. Beyond work, I’d like to be more creative in regular life, in play, relationships, and frame of mind. When I shared the word with others they responded with an impressed, “Oooh…!” It’s the right word at the right time for the right person: me. Our creative instinct gives testimony to our having been created in the image of a creative God who has given us the privilege and responsibility of co-creating this world we inhabit. We mirror God to others through our creative acts, and I’m convinced we also tickle God pink with joy as we indulge the gifts He has given us. memories – Guy and I stayed up until the wee hours working with Teen on a school project, and I let Tween have ice cream for breakfast while we read in bed on a Sunday morning. Have you noticed that interesting ideas spark during ordinary activities? My brother-in-law and I discussed creativity while we washed the Christmas china. Also a creative-type, he asked about my writing and goals for this year, and when I mentioned I had chosen “create” as my word for 2016, that I would attempt to structure my daily life and goals around that word, we hatched an idea about which I am beyond excited. Throughout this year my blog will feature writers, painters, photographers, musicians, parents, teachers, missionaries, activists, philosophers, church leaders and more, all sharing perspectives on and experiences of creating. 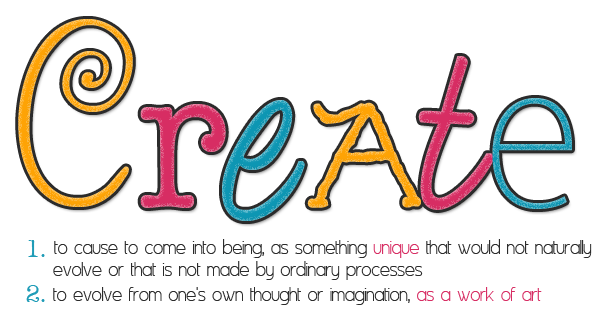 Together we are going to blow the roof of this word, “create.” We are going to see that it is so everyday true-to-life and still so crazy-spectacular. I can’t wait to learn from each guest post, and I’m so grateful for those who will join me in this creative adventure. I am thrilled to be able to create a platform and community for people from all arenas of my life, living out their calling in such marvelous ways, to share about creative expression. The Create Challenge guest posts begin next Wednesday, friends! As Church Communication Director, this week before Thanksgiving is always one of the busiest work weeks of the year as we rush to get Christmas PR printed, in the mail, up around town, in the newspaper, you name it. The creative work, writing and designing, is mostly done, so this week is all about details – proofing and making sure each design in all its necessary formats gets to the right place and people at the right time. The devil is in the details and I am no devil. I can’t get stressed, though. The irony? This year’s theme is PEACE. No sense at all worrying about peace. Today I got a kick in the tail in the best way. 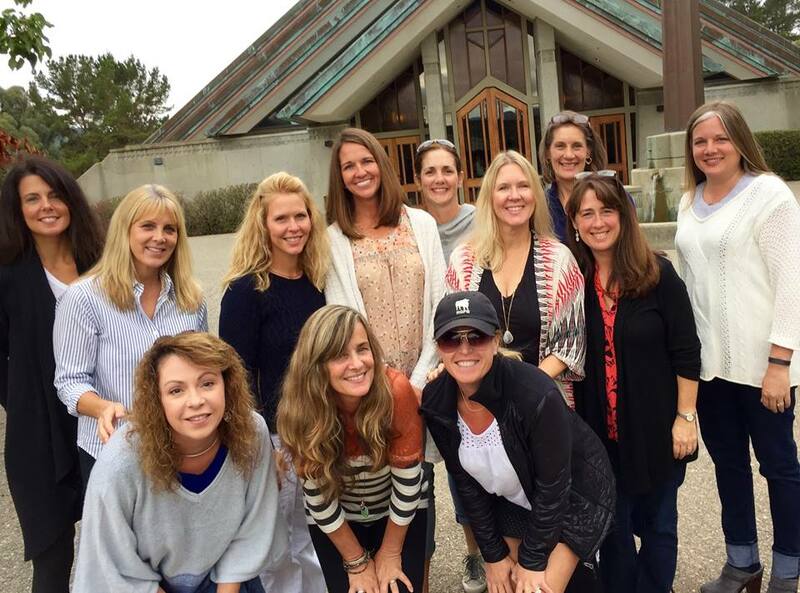 One of my favorite weekly activities, I have the privilege of leading a small group of delightful women in our moms’ group at church. I love these women. They are light and bright and smart and deep. Our speakers today talked about change and taking intentional steps toward positive change in our lives. Several of my gals are engaged in total life upheaval, not entirely by choice. And yet even in difficult situations, our response is our responsibility. We can still choose to make changes that make us better. The gal seated next to me almost died from a fluke illness this fall. I kept rubbing her back, teary eyed, so grateful for her life. And to hear her talk about the peace that sustained her during her illness, the overwhelming sense of angels watching over her, the comfort that whatever happened God held her in His hands… Me, choking back tears because she couldn’t have said those words when we met a couple years ago. I am grateful for her life and for the joy of watching her grow in faith. Is not life more than worry…? Life is so much more than worry! I am thankful for my friendships with these precious women who encourage one another and me. They add so much joy and love to my life. I am thankful for a day off with my love after a season of working too hard and missing one another along the way. 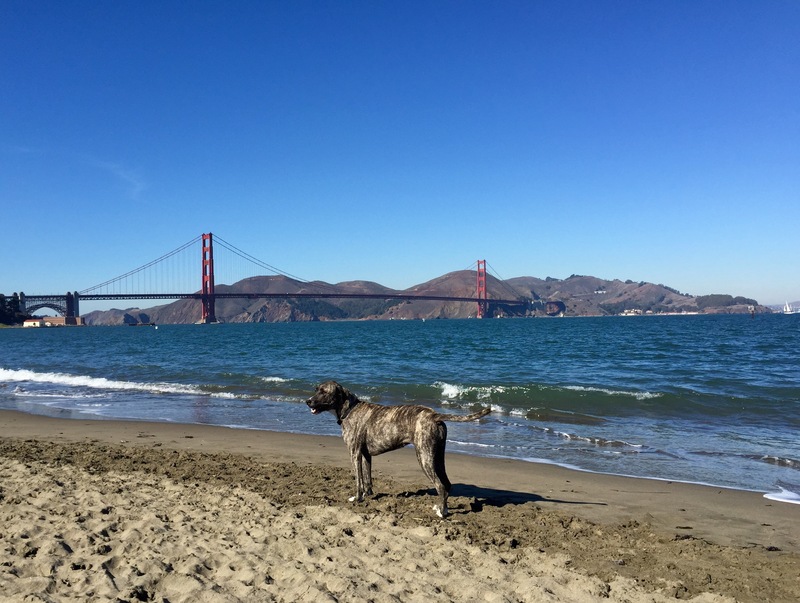 We walked the beach with our happy dog on a perfect San Francisco day, followed by a spontaneous splurge lunch at a marina-view restaurant. I am thankful for an opportunity to serve with one of our church’s mission partners, Harbor House Ministries. All three of my guys have been there more than once, but today was my first time. 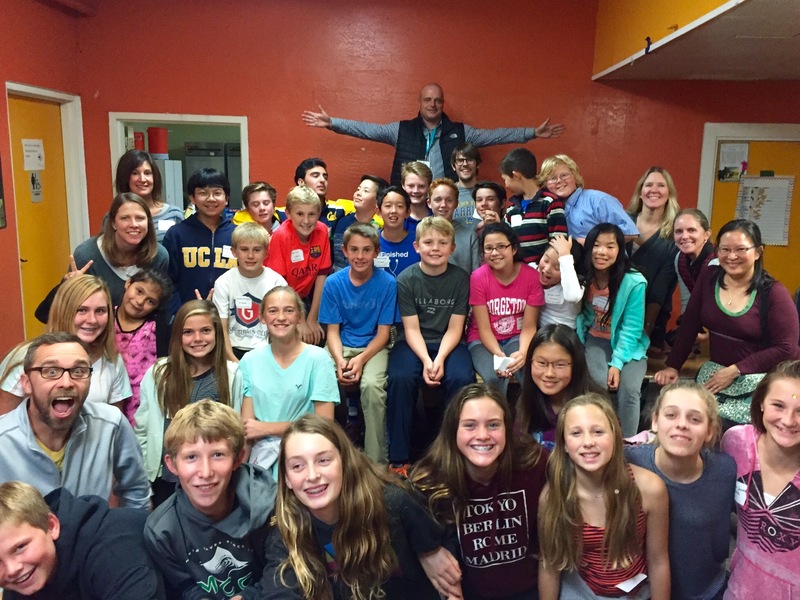 Our middle school group plus a few parent chaperones served a Thanksgiving meal prepared by church folks; we also built relationships, did a craft, packed up leftovers for people to take home, and cleaned up. I talked with a mom of two darling girls; I don’t easily talk with people I don’t know, but we so easily connected over kids and this blessed place where her older daughter is safely cared for. Tween enthused about the “amazing” place called Harbor House and can’t wait to go back. I got to tag along while my kid’s heart changed. So good! Life is so much more than worry. Life is love, encouragement, connection, work and rest in balance, service, and community. Life is our creative response to life’s own twists. Life is our responsibility to create, and life is our creative God’s good gift. He already said, “It is good.” Now it’s our turn.